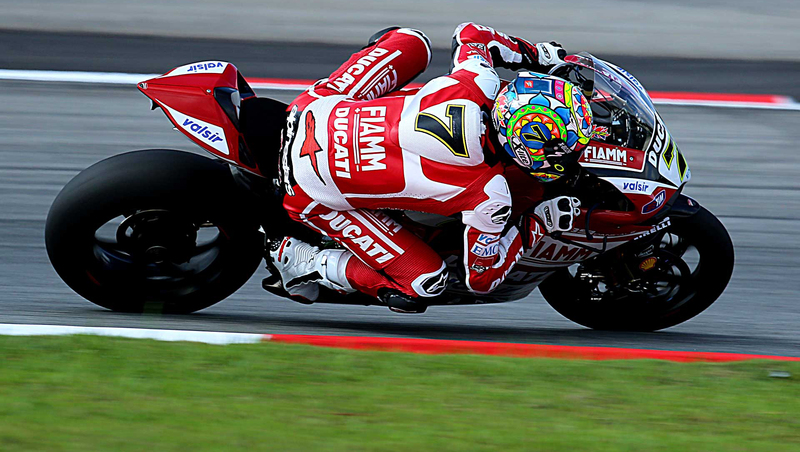 The MotoGP World Championship started again as usual at the Losail circuit, Qatar. The Moto3 class was a heated battle for the first position, in which Alex Rins , Jack Miller and Alex Marquez alternate overtaking and changing position until the checkered flag. On the podium stands the australian Jack Miller, followed by Marquez and Vazquez, with Spidi factory rider Rins penalized in the final sprint in fifth position. The numerous crashes characterize this MotoGP, mainly caused by the slippery asphalt and the humidity at night. Lorenzo fell badly, leaving the victory to an outstanding Marquez. Stunning race also for Spidi’s rising star Aleix Espargaro – fourth with an Open Yamaha of the NGM Forward Racing team and fifth place by Andrea Dovizioso on Ducati .